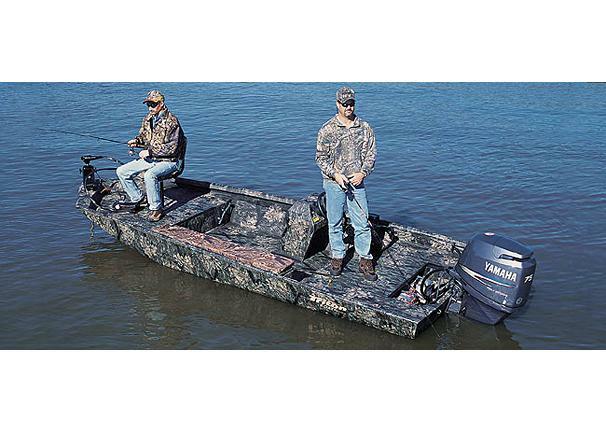 Boat Description Avid waterfowl hunters are calling our 170 Duck Special the perfect duck boat. The Triton 170 DS SC has all the features waterfowlers crave, including all-welded construction, roomy interior, gun box, Lock-Track gunwale accessory system and genuine Mossy Oak Shadow Grass or Breakup camo paint inside and out. Then we kicked things up a notch by adding a high-performance pad bottom for incredible performance and a smooth, dry ride in rough water.